Q. How do I begin to automate or eliminate tasks that will make our property or facility management operations more efficient? A. The most effective way to understand the task is to investigate. Or as I fondly think of this: investigate to automate or eliminate! The only way I have found to reduce our detail-laden industry is to follow each task like a detective and ask tons of questions. Hence the term, investigate! In my past positions I would literally walk around and ask people what they were doing and why? I would also ask myself the same question about my own processes and procedures constantly. It was important for me to analyze what I was doing and reflect on how often that task would benefit our operation or company. https://managerlabs.com/wp-content/uploads/2010/09/file-cabinet-2-189x300.jpg 189w" sizes="(max-width: 221px) 100vw, 221px" />My favorite example is filing of anything made of paper. When I polled the staff on what task was the most hated, it was a unanimous vote of – FILING PAPER! Everyone hated it and felt it was wasteful. We began to analyze what we were filing and how we were filing it. Once we learned of the task, we began to measure the frequency of our need to access that paper we filed and how we accessed it: month, alphabetical, property name, client name, chronological, etc. With a simple task such as filing, and changing your current ways, you will notice so much efficiency unfolding. You must analyze each task with the goal of either elimination or inclusion with another task to make it work smart for you! It may seem tedious, but property and facility management operations are so detail oriented that it really does require an in-depth analysis or investigation of what and why things are being done. 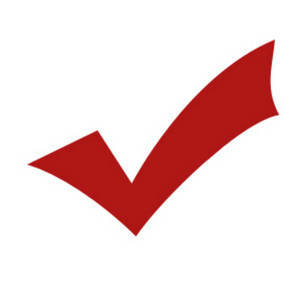 Use this simple and short checklist. Post it around the office. Put it in your employee newsletter. Make this your motto – – Investigate to automate or eliminate! Investigate to Automate or Eliminate! •	Think digital. Be sure all of your data and documents are on your server system. •	Follow the reports. Where are they being stored? •	Start a future cut-off date today. In other words, effective 2011, we will no longer ________________________. •	Whatever it is you are doing in 2010, try to stop doing it in 2011. Start a new method with a new year. It makes so much sense because it is easy to remember and document. For instance, if you print reports and file the reports in paper form. Stop all reports as of December 2010. Starting in January 2011, they will be in .pdf (portable document format) and filed in a certain folder on your server. •	Insure all MISSION CRITICAL folders on your server are backed up with a strict method in place. Back-ups need a back-up as well. 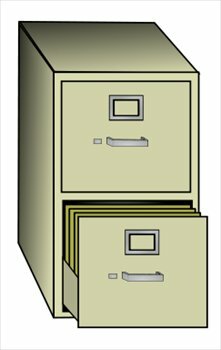 •	What is inside all of those filing cabinets and how often are they retrieved? •	Back away from the copy machine. •	Stop using the fax machine and start using the scanner or only use the fax machine to scan it. •	How is it being filed/sorted? Is it by property or facility? How you file can make a difference in time and efficiency. By year, month, etc. •	Does everything need a file? Do you really need to file it at all? Keep digging and determining what you really need as compared to what it costs you to perform that task. We have created a poll at trendycharts called ‘Investigate to Automate or Eliminate’ Are You Thinking Property and Facility Management Efficiency? We would love to see the trend in our industry today and how it evolves. What type of efficiency-minded thinker are you? Will this article change your mind about how you do think? Take the poll and let’s see how our industry is thinking today and into the future. Investigate to Automate or Eliminate.